Workers listen up! Have you heard about Anaphylaxis? Well, it’s a life-threatening allergic reaction that can kill you. 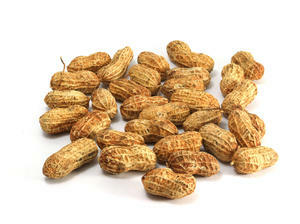 Food allergies are the number one cause of anaphylaxis. These kinds of allergies affect close to 10 percent of all children under the age of 18 and close to 5 percent of all adults, according to the American College of Occupational and Environmental Medicine. From 1997 to 2007, then prevalence of these food allergies increase by close to 20 percent in kids under the age of 18. The potential risks associated with this kind of reaction occurring in a worker or a customer, especially among those employed in food services and/or working with vending machines, has skyrocketed. Our Quincy workers’ compensation lawyers understand that anaphylaxis can be triggered by a number of allergens. Some of these allergens can include food, venom from insects, latex and even medications. What makes this problem tough to handle is that many people who have these allergies are not able to identify exactly what causes the reactions, putting them at serious risks for life-threatening reactions. For these reasons, it’s important that employers eliminate the risks that are associated with this condition. -Make sure that you have a epinephrine auto injector on site. People who are at risk for these kinds of reactions don’t always carry their own auto-injectors with them. Others may not even know that they have this allergy. -Make sure that everyone on the work site is aware of the dangers that are associated with anaphylaxis and know how to avoid these dangers. -Consider creating an awareness campaign to help to get the message out about the risks. There are other things you can do to mitigate the risks. It’s important that you know the ingredients of the material that you’re working with on the job. You must stay away from high-risk areas if you know that you’re allergic to these ingredients. This also includes any areas that might house insects with the venom. It’s also important for you to keep an epinephrine auto-injector with you or nearby if you know you have these allergies. These injectors should be used immediately in the event of a reaction. The National Institute of Allergy and Infection Diseases (NIAID) stresses that any delay can produce fatal results. It’s important that employers are aware of all of the dangers and the hazards that can be present on the work sites. Many times, there are risks, such as anaphylaxis, that are overlooked by employers You’ve got to make sure that anything and everything that could cause harm to you on a work site is eliminated! Contact the Law Offices of Jeffrey S. Glassman, LLC if you or a loved one has been injured or killed on the job. Call 1-877-617-5333 for a free and confidential consultation to discuss your case.